Imagine a ten year journey that includes tracks, platforms, turn backs and stabling facilities to help transport one million people each week day. It involves thousands of highly committed, capable people and a considerable amount of respected businesses working with communities and customers to augment their concerns and ideas with one goal – improving the complex infrastructure of Sydney’s rail network and as a result benefitting the community of NSW well into the future. 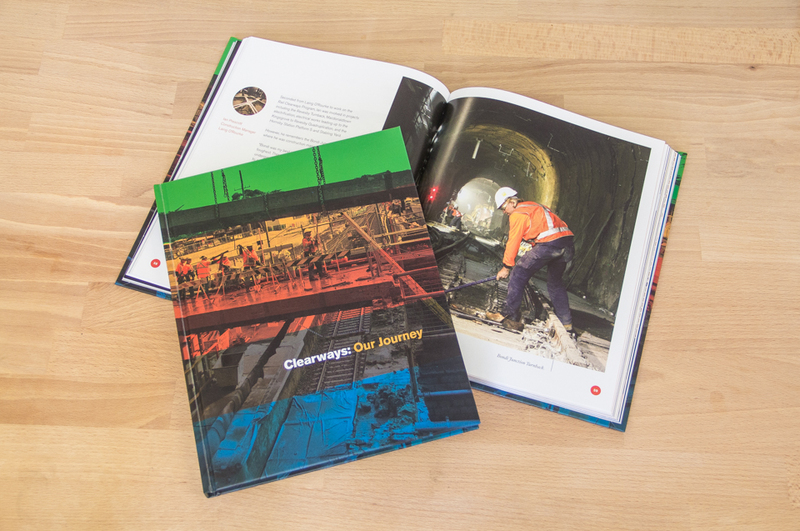 A celebration and commemoration of this long running infrastructure program is detailed in a book called ‘Clearways: Our Journey’. Great stories of those involved enabling all of us who use trains to think about the work that goes into making our day go by with less hassles. 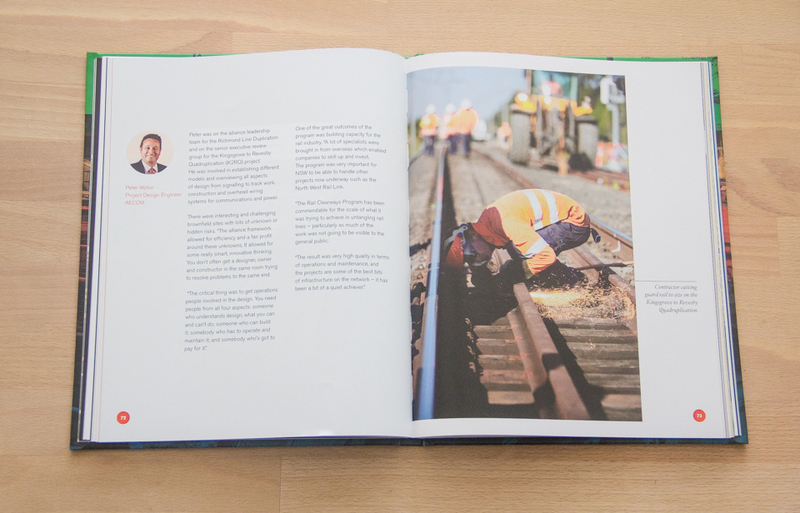 The book is a big thank you and acknowledgement from Transport for NSW to the special people involved and reflecting on their personal experiences. A very noble gesture which we were delighted to be part of as their creative and production team.